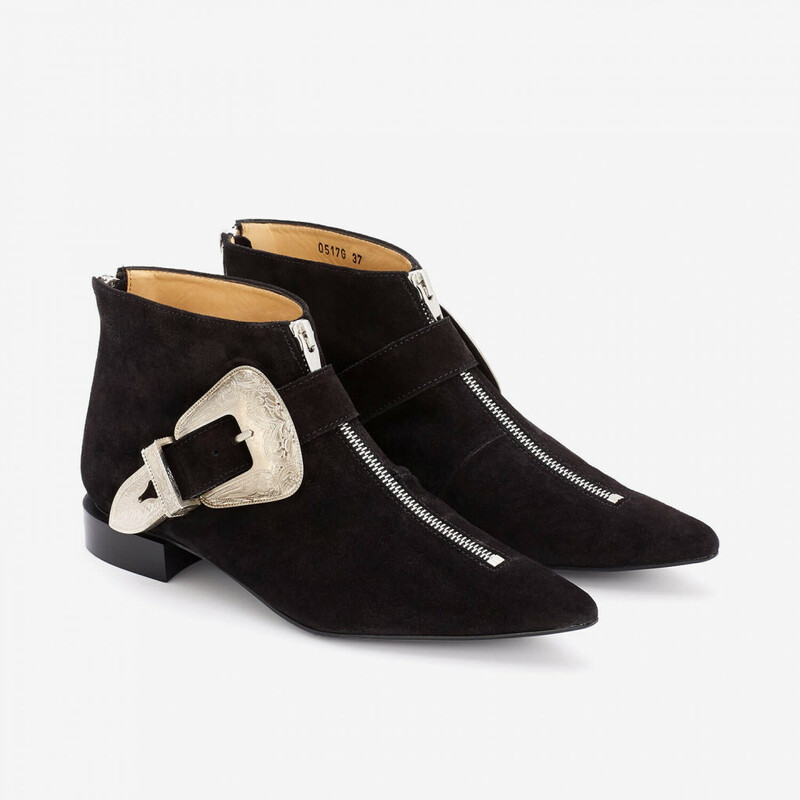 Low streamlined profile and narrow pointed toe with beat boot character is combined with grand size western buckle in this ankle boot from Toga Pulla. Look is bold still yet classic following the inventive spirit of Toga Pulla Archives. 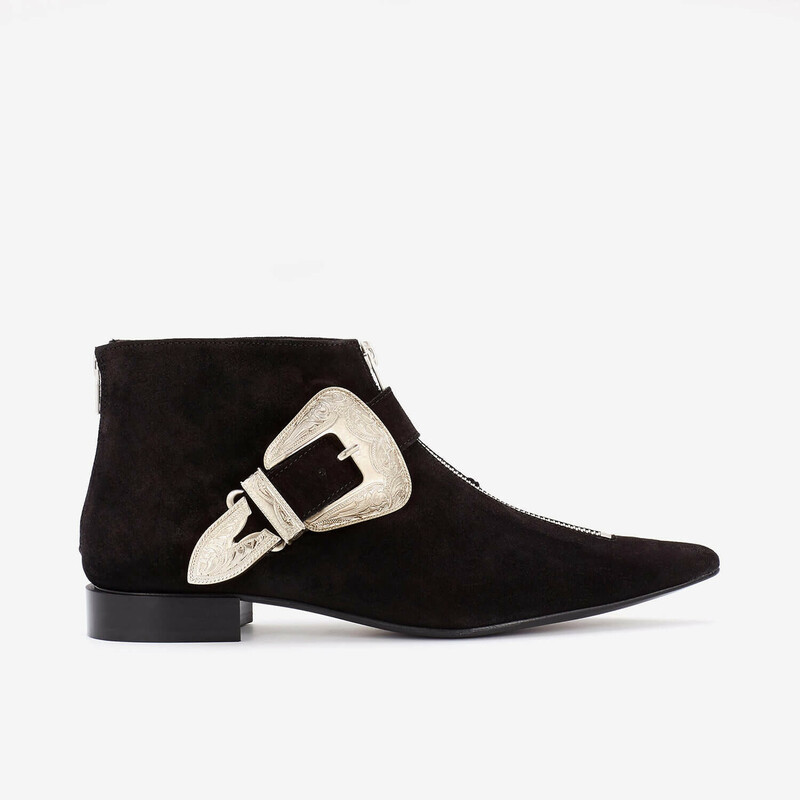 We pair this boot with sharp cropped trousers to give contrast to the crisp rock attitude. 1 x Pointed Toe Low Boot was added to your shopping bag. 1 x Pointed Toe Low Boot was added to your wishlist.